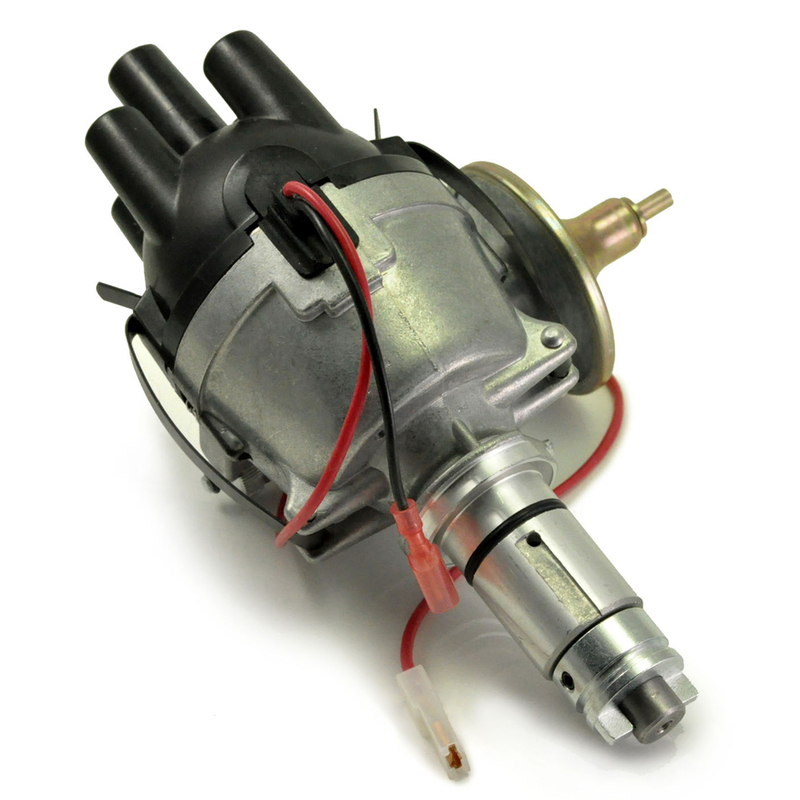 The Lucas 25D Distributor is a vacuum advance model widely used in many British classic cars. It was used in iconic classics such as the Land Rover Series, MGB, Morris Minor, Triumph 1300/1500 and many, many more. If you are unsure about fitment please contact us. This is a brand new casting, taking from an original model and redeveloped by Powerspark with improved features from the later 45D. With years of experience using Lucas products, we added an oil seal on the shaft of our 25D that Lucas introduced with the 45D. It makes for a better, longer lasting product, while remaining aesthetically identical to the original Lucas 25D. The Powerspark 25D also has a tamper proof vacuum advance unit with later push on vacuum connection. Our Powerspark 25D is available as standard points, with built in electronic ignition and as High Energy. It is available in both positive and negative earth variants. We also offer versions of this distributor that have been specifically developed for the Mini 998cc and 1275cc vacuum advance - exclusive to Powerspark. This is a brand new quality product, reproduced accurately from original castings. The distributor is complete with everything you need. Points models come with a brand new points set. Electronic Ignition models replace the points set with our patented Powerspark Electronic Ignition module. 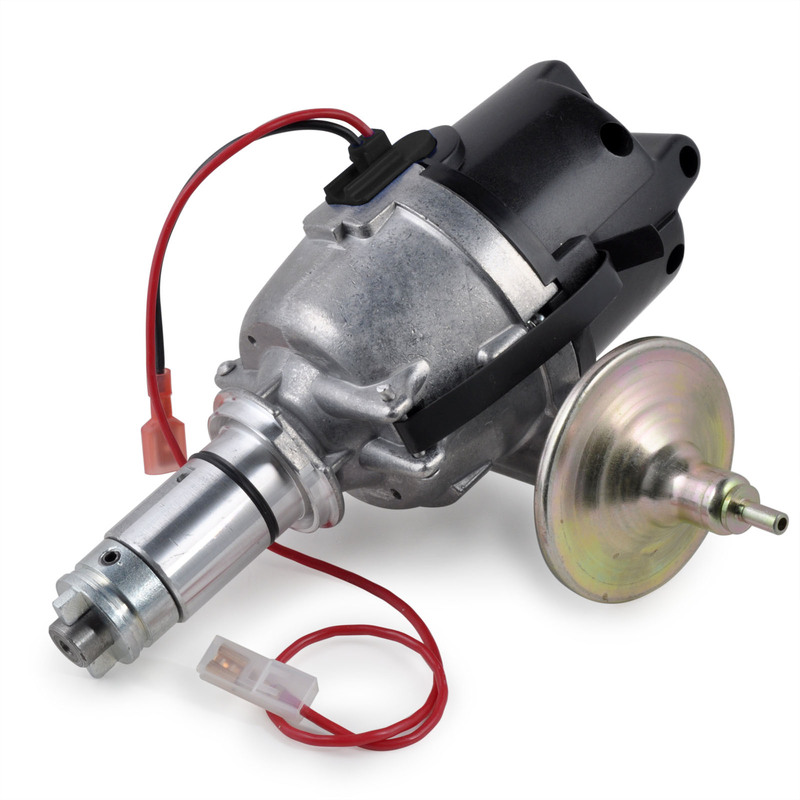 Powerspark Electronic Ignition is the original electronic ignition conversion for classic cars, giving reliable starting and hassle free ownership.